About Us – Eninserv Ltd.
Eninserv Limited has been founded to provide consultancy services to companies of all sizes in the area of Energy and Innovation. We work closely with other professionals in these fields, collaborating on projects across the Eurozone. Our proactive approach to technology and market development ensures we are at the head of the industry. Mark Daly, qualified in Electronic Engineering. His early experience was in electronic manufacturing and production, later moving into wider electro-mechanical roles. Mark first came to the Energy Industry in 1998 on the commissioning of a Combined Cycle Gas Turbine. With considerable expertise in control systems as well as O&M for ESB at one of Ireland’s largest generator sets, he has taken his experiences into the next generation of challenges to hit the energy business. 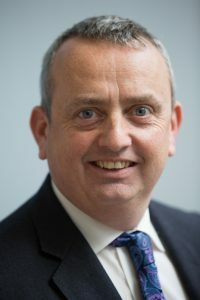 2011 saw him transfer to ESB ecars where his multi-discipline background was used to find close fits between the the energy sector and other industries such as ICT, Automotive and Telecoms. His stakeholder management skills were honed during this time while leading ESB’s input into a number of EU funded projects as well as working with state agencies towards the development of policies and support mechanisms for Irish industry in an emerging market. Mark has been a key player in ESB’s engagement with one of the energy industries most disruptive and exciting technologies. The e-mobility domain is far reaching. Clients needs can vary considerably. To meet the needs of our clients, Eninserv have nurtured a strong relationship with a wide array of highly experienced professionals, both at home and across Europe. Using this network, we are able to meet the needs of our clients no matter how diverse the project scope. 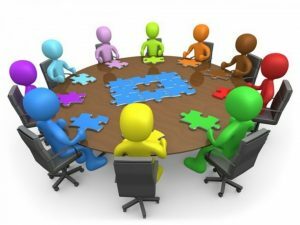 Our agile nature, means we can build an efficient team structure for your project. Depending on the needs of the client, the right team can consist of monitoring & control, solar installation or appliance specialists. 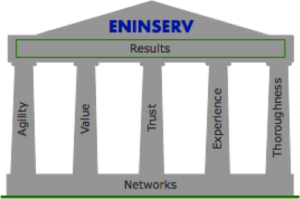 Eninserv have developed a Framework of service providers which are called upon as projects require. Where appropriate, we can also utilise contractors already familiar to our clients. Using this pool of resources, we are able to meet the needs of our clients no matter how diverse the project scope.